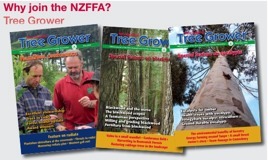 Author not published, New Zealand Tree Grower August 2007. Douglas fir has a history within the building industry as strong, stiff and stable timber, ideal for structural applications. Different interpretations of good stability can be given such as low and uniform shrinkage, and slow moisture content change responding to changing humidity and temperature. In order to obtain a depth of understanding of the stability performance of Douglas fir and to develop tools to segregate logs before processing, a project has been created by the Douglas-fir Association in collaboration with Canterbury University’s Wood Technology Research Centre. 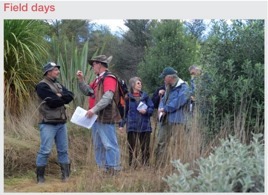 The project is sponsored by the Douglas-fir Association and Technology New Zealand and supported by Sutherland and Company, who will host a masters student. Associate Professor Shusheng Pang, Director of the Wood Technology Research Centre, says that in the first phase of the project, logs of both Douglas fir and radiata pine were sorted on acoustic velocities, using a simple sonic tool. From each log category, discs were collected for measurement of wood stability properties including shrinkage, equilibrium moisture content and the water intake rates. The logs have now been sent to Sutherland & Company for sawing and drying. The project has now entered into the second phase for property measurements and timber sawing. Variations between trees and within tree will also be examined. The properties measured will help to quantify the differences in stability performance between these two species. In the final phase of the project, mill studies will be conducted on the kiln drying of the Douglas fir and radiata pine timber. By tracking the test samples and dried timber to log and positions in the log, correlations will be established among the wood properties, acoustic velocities and dry timber straightness. Andrew Karalus, leader of this project, is confident that when the work has been completed, a database will be available to confirm the advantages of Douglas fir for structural applications. The important challenge will be to use the resulting wood property information to design and recommend a log sorting method that is efficient for log flow and able to capture the value identified by the research. The main result from this project is that the dimensional stability of Douglas fir will not only be quantified, but rated against radiata pine, which will allow a reference point with the more common building timber. This will quantify the magnitude of the stability benefits and provide marketing material for Douglas fir to describe fitness for purpose in large dimension and multi-storey applications where stability is critical. It is hoped that the research can contribute to improving the current position, where timber is regarded as less stable than non wood substitutes. The intention is not to compete with radiata pine but to quantify the position of Douglas fir in terms of a better known benchmark. The Douglas-fir Association was formed just under two years ago to help stimulate demand for Douglas fir trees and timber.